Truffles, truffles and more truffles. That was the theme of this spectacular dinner at La Ciau del Tornanvento last week. Even on a Monday night following a huge weekend of tourism in the Langhe, La Ciau was packed, as it pretty much always is these days. Our dinner was amazing, although I must warn readers – La Ciau is not the place to go if you are on a diet, especially in truffle season, when eggs and butter are featured in abundance throughout the menu. Krug’s 1988 Vintage is stunning and a great way to start the evening. 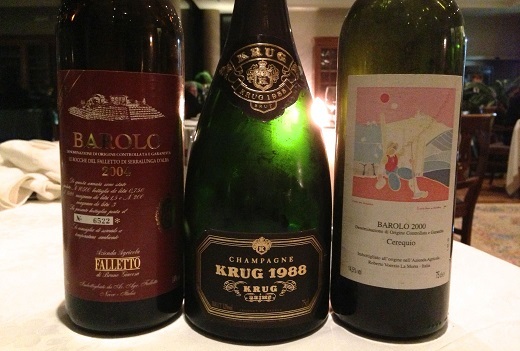 I had the good fortune to taste several bottles of the 1988 recently, and they have all been terrific. A generous, resonant wine, the 1988 delivers all the Krug signatures with bracing underlying minerality and fabulous overall balance. 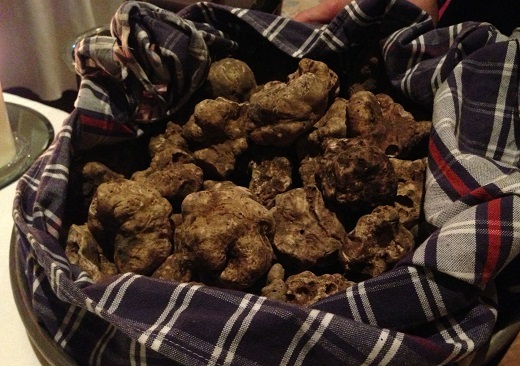 Although Barbaresco and Barolo are the natural pairings with white truffles, Champagne is my next choice. This bottle is amazing on its own, and also alongside the egg in cocotte served in a jewel box, a signature dish. 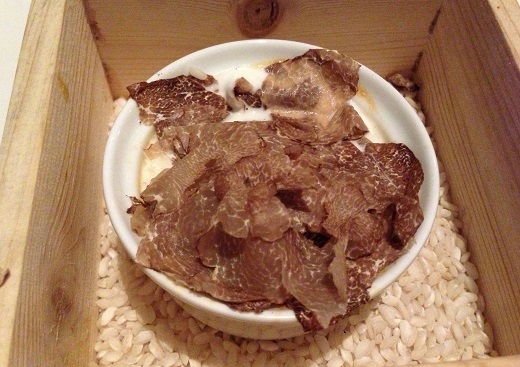 The carne cruda arrives, followed by the day’s harvest of white truffles. There are few sounds that are more soothing than that of the fresh white truffles being shaved onto the plate. 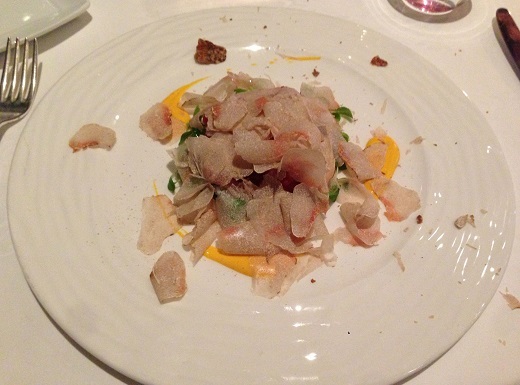 White truffles keep cascading onto the carne cruda until it is no longer visible. What a fabulous dish. The tagliolini with white truffles are even better. Here, too, the truffles are abundant. 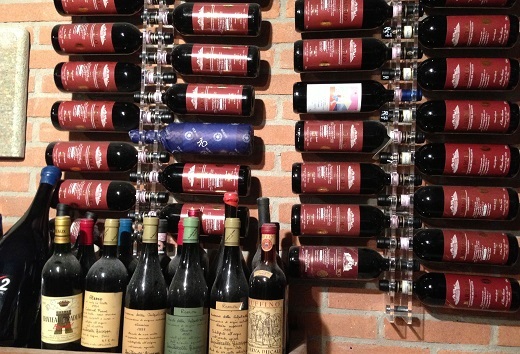 La Ciau is one of the few places diners can find impeccably stored Barolo and Barbaresco with bottle age. I have loved Roberto Voerzio’s 2000 Barolo Cerequio since it was in barrel. Today, a decade after I first tasted it, the 2000 remains spectacular. A deep, dark red, the 2000 Cerequio covers every corner of the palate with the most exquisite, silky fruit imaginable. All of the hallmarks of Cerequio – the silky tannins, expressive, floral bouquet and bright red fruit – are alive in the glass. Today, the 2000 is sensual and layered to the core. Well-stored bottles will keep another 10+ years. Sadly, mine are all gone. 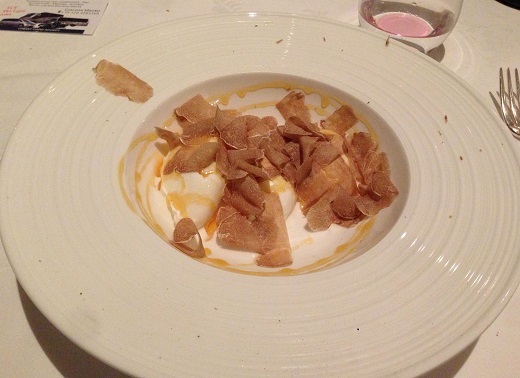 The poached egg served with fonduta arrives, as do more white truffles. We need more wine. After the Voerzio I am looking for something a little more delicate and subtle. Bruno Giacosa’s epic 2004 Barolo Riserva Le Rocche del Falletto takes things to an even higher level. What a wine. A compelling bouquet laced with dried rose petal, sage, tar, licorice and lavender opens up in the glass. The 2004 is a wine of contrasts, as great Barolos often are. At times feminine and graceful, while at others deep and powerful, the Rocche is constantly changing in the glass. While the Voerzio is an immediate, gratifying Barolo, the Giacosa won’t give up its charms so easily. The 2004 Rocche engages, challenges and ultimately rewards the taster with a breathtaking, exhilarating experience matched by only the world’s greatest wines. Readers lucky enough to own the 2004 can look forward to several decades of spectacular drinking. Panna cotta ice cream with caramel sauce and white truffles? An unexpected surprise, but it works. I don’t have much of a sweet tooth, but this is definitely my kind of dessert!